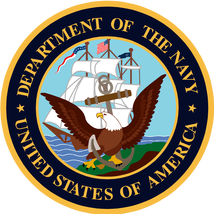 Unit: Naval Reserve assignment at the Navy Command Center. Incident: Died when terrorists flew American Airlines Flight 77 into the Pentagon. Killed in the September 11, 2001, attacks on the Pentagon in Washington, D.C.
Patrick Jude Murphy, who worked for G.D. Searle & Co., had moved recently to Berkeley Heights, New Jersey, from Illinois. On September 11, 2001, he was on a two-week Naval Reserve assignment with the Navy Command Center at the Pentagon. "He was a great guy; everyone liked him," says Carol Burke Swanson, director of development at Marian Catholic High School in Chicago Heights, Illinois, which she and Murphy both attended and where Murphy played football. Murphy's high school teammates have launched a scholarship in his name for students who've lost a parent through death or divorce. "Patrick's parents divorced when he was young, and it really hit him hard. And now his kids are without a dad," Swanson says. "He was very family oriented, real close to his boys" Mitch and Casey. Swanson says she was amazed at the number of Murphy's teammates who attended the school's football game the Friday after September 11. "There was something about the camaraderie." A flagpole also will be dedicated at the school in Murphy's memory at the start of the next football season. 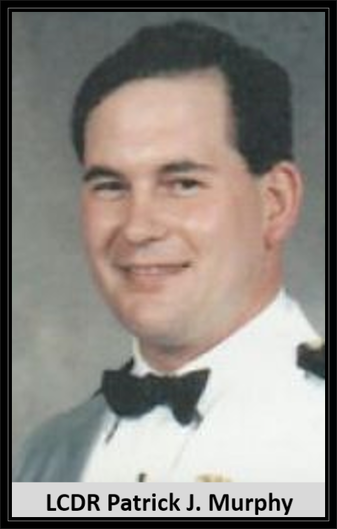 Patrick Jude Murphy, 38, was among those killed in the September 11, 2001, attacks on the Pentagon in Washington, D.C.Commander Murphy served in the U.S. Naval Reserves for five years and was at the Pentagon for two weeks of active duty, said his sister, Kathleen Schweikart. He completed The Managers’ Program at the Kellogg School in 1997. Murphy was raised in Chicago’s south suburbs and had recently relocated to New Jersey from Park Ridge, Ill., with his wife and two sons. He attended Marian Catholic High School in Chicago Heights and received an undergraduate degree in chemical engineering from the University of Mississippi. In addition to his sister, Mr. Murphy is survived by his wife, Mako; sons Mitch, 6, and Casey, 3; mother Joan Miller; brother John; and another sister, Susan Johns.